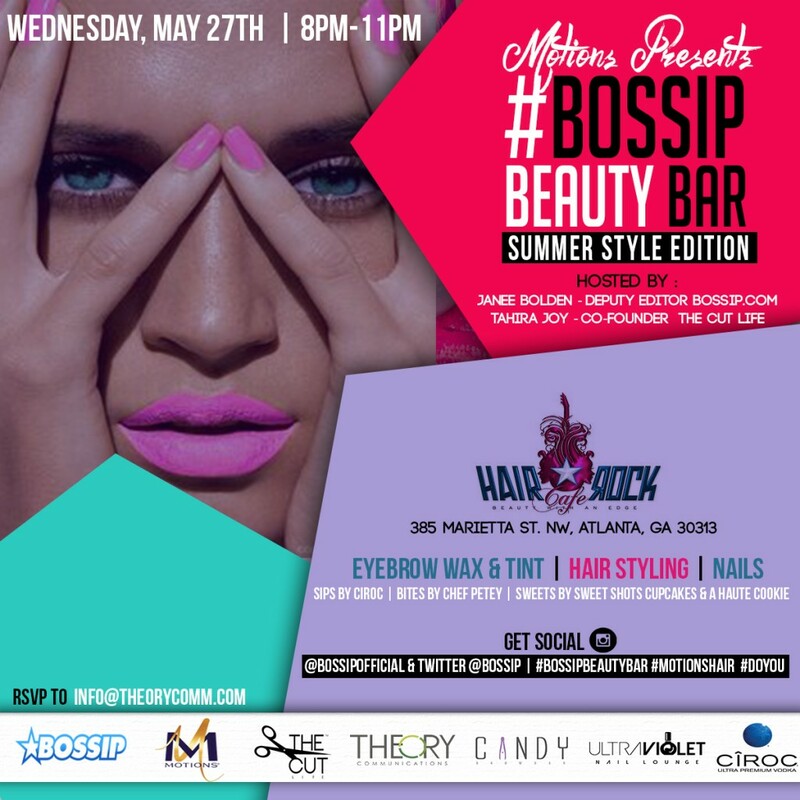 Popular entertainment site, Bossip.com, kicks off the season with the Bossip Beauty Bar, Summer Edition. This event will be held May 27th from 8PM – 11PM at the premier Hair Rock Cafe. Guests will also enjoy music, complimentary cocktails by Ciroc, tasty bites by Chef Petey and a sweets bar provided by Sweet Shots Cupcakes and A Haute Cookie.